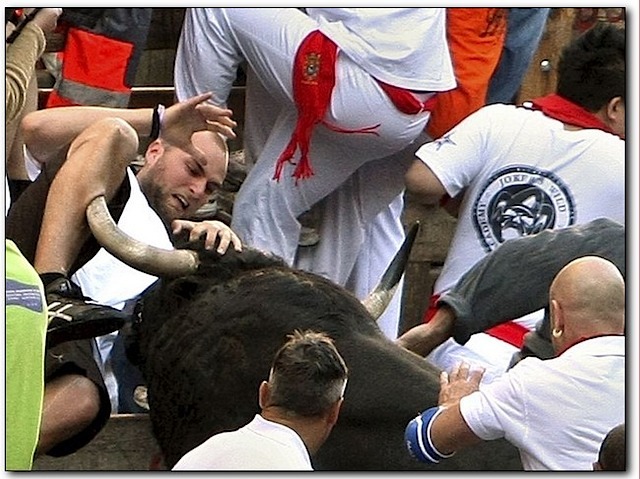 I suspect the natives of Pamplona cooked up this running of the bulls thing just so they could tally up the number of stupid, drunk foreigners in their hospitals the day after. If he’d only checked his copy of the handy dandy Girlspeak to English Dictionary … He’d have seen his wife’s response as the 3rd most important translation… Don’t be stupid!! All males should learn at least the first ten rules of female language arts… It could save your life someday. Virus… I Wasted A Lot Of Time At This One… Fun!! A nun who was searching for enlightenment made a statue of Buddha and covered it with gold leaf. Wherever she went she carried this golden Buddha with her. HAS THIS KIND OF SELFISHNESS EVER OCCURRED IN YOUR CHURCH? These are things people actually said in court, word for word, taken down and now published by court reporters who had the torment of staying calm while these exchanges were actually taking place.